Le mercredi 3 avril 2019, Karsten Maier a été nommé Secrétaire général de l'Union européenne du commerce du bétail et des métiers de la viande (UECBV). UECBV is promoting the next Equine Conference in the European Parliament, room PHS 5B001, on 16th October 2018, at 4:30 pm. The conference is co-organised by EHN, FEEVA, UECBV and World Horse Welfare. UECBV will deliver a presentation at the conference. 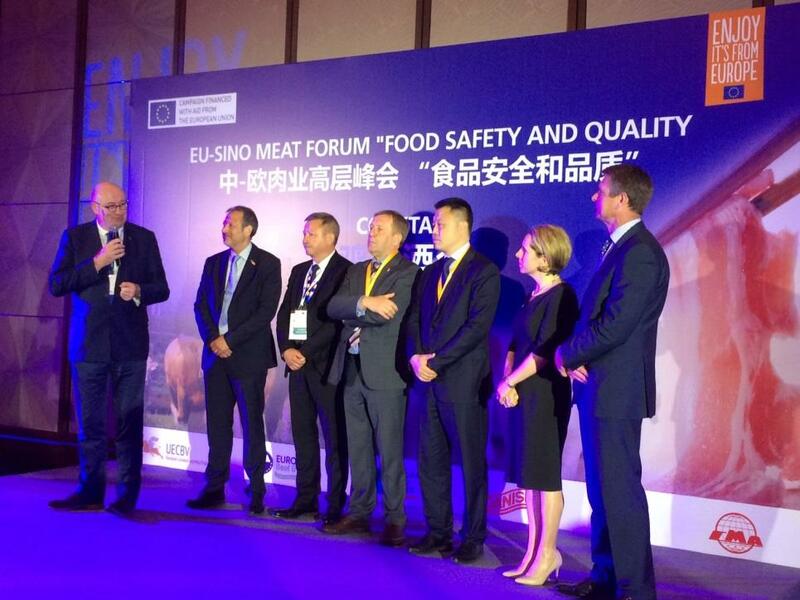 16/05/2018 Press Release Seizing the opportunity of EU Commissioner Phil Hogan's visit to China, the EU meat industry is promoting the EU food safety model in Shanghai. 2018 World Meat Congress / Save the date !!! 2018 World Meat Congress in Dallas, Texas, USA - The 2018 World Meat Congress (WMC) will be held in Dallas, Texas, U.S.A. on May 31-June 1.